It’s easy enough to secure a bike’s rear wheel and frame using a standard sized U-lock but the front wheel requires an additional lock for total peace of mind. 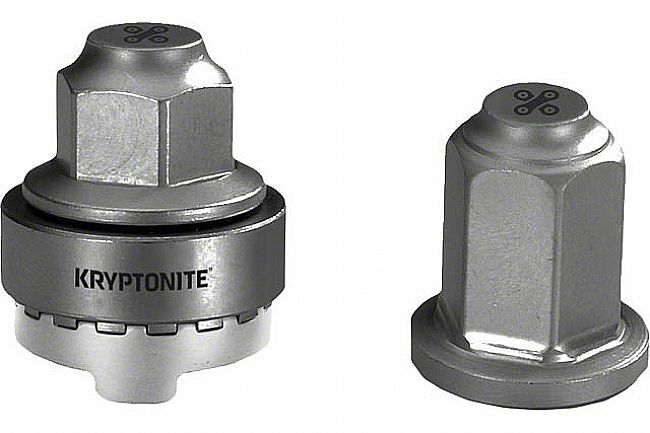 Kryptonite’s Gravity WheelNutz serve the purpose of an additional lock without the bulk, weight, or repetition. 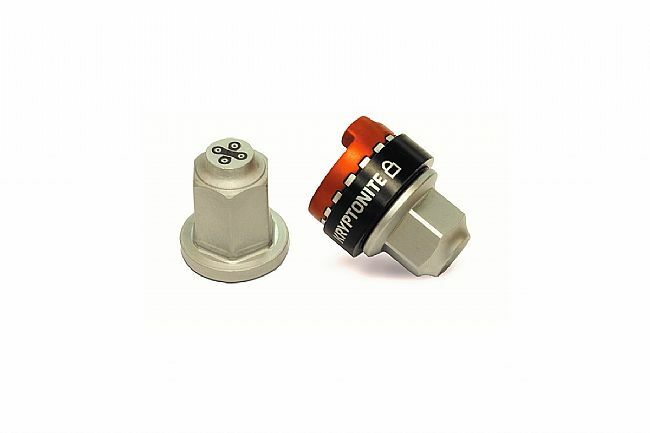 First, install the WheelNutz at home with the included 15mm wrench. When locking up, secure the rear wheel and frame with a U-lock so the bike can’t be flipped upside down, and walk away without concern. WheelNutz can only be removed when the bike is upside down; that’s usually prevented by securing both frame and rear wheel with a U-lock.